It is easy for theologians and biblical scholars to wear prophet mantles and appear to be courageously attacking the sins of the established powers. There can be an easy smugness in identifying one’s position with “the conscience” of the guild, the church, the public or nation. “Speaking Truth to Power” loses some of its awe when one finds the Power in turn rewarding its “gainsayers” with various honours and security of status. The game was played out without embarrassment from either side in Australia when one of its most socially and environmentally regressive Prime Ministers, John Howard, recommended a prominent social justice advocate cleric, Peter Hollingworth, to the Governor-Generalship, and awarded a leading environmentalist, Tim Flannery, Australian of the Year. Unfortunately, Crossley himself falls into the trap of joining other religion scholars who boast of critiquing imperialist, racial and class-warfare themes while in reality missing the heart and soul of Chomsky’s message. As a consequence Crossley becomes yet another brick in the wall of the establishment power he critiques only superficially. Yet this is exactly the place where Crossley’s own supposedly “independent” studies of Christian origins find themselves. He shares with his more religiously interested colleagues the logically flawed historiographical and epistemological assumptions that sustain that guild’s reason for existence. Everyone knows — it is a simple truism — that one needs independent verification of any narrative before making assumptions about whether it is factual or not. This, at least, may seem enough of a truism to pass over without comment. Not so, however. For the [many a biblical scholar], it is not at all obvious. Thomas L. Thompson (The Messiah Myth) is one of the handful who have pointed out this simple, embarrassing flaw, when he has written that historical Jesus scholars have always just assumed there was a historical Jesus to discover behind the gospels. Hector Avalos (The End of Biblical Studies) bluntly points to the need for biblical scholars to justify their paid jobs. Chomsky’s critique of the media and public intellectuals is that in their narratives of power they present the lies and myths that justify their own positions of power. Mainstream biblical scholars who assume the Gospels are sourced by traditions from a historical Jesus cannot justify their conventional wisdom. Even though the Gospels are anonymous they are ‘immediately trusted’ as repositories of the historical truth, at some level, of their narrative. A truly independent study of Christian origins needs to start with being willing to ask questions about what is taken for granted. Trying to interpret the gospels as literary remnants of some sort of imperial-colonial conflict, or as memories of disputes among different sectors of society over what rules to live by, as Crossley argues in his The Date of Mark’s Gospel and Why Christianity Happened, is to bring to the gospels all the fundamental — and unjustified and unjustifiable — assumptions that they testify to reality of the narrative of western society’s greatest icon of institutional and cultural power of all. But what if they don’t? What if that belief about the Gospels is itself part of the myth that might constructively be dismantled by honest enquiry? Not that I’m a “fan” of Noam Chomsky, however much I highly respect and value many of his publications, and some of his personal activities in supporting others facing the full force of tyrannies of power. I think, with Daniel Dennett (Darwin’s Dangerous Idea), that Chomsky is a bit of a screwball on the question of evolution. I have been embarrassed at a few occasional remarks of his that stray from his areas of specialist study. But he is a sorely needed successor to French philosopher Julien Benda. 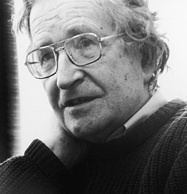 The responses of mainstream biblical scholars (including, sadly, James Crossley himself) towards those who do truly tackle and expose their assumptions are remarkably similar to mainstream intellectual, political and media figures who slander, misrepresent, insult or ignore Chomsky’s reasoned and factual works exposing the myths and lies at the base of their power and privileges. Posted on 2010-04-21 07:51:06 GMT+0000 by Neil Godfrey. This entry was posted in Biblical Studies, History and tagged Avalos: The End of Biblical Studies, Biblical Scholarship, Historicity of Jesus, Intellectuals, James Crossley, Noam Chomsky. Bookmark the permalink.